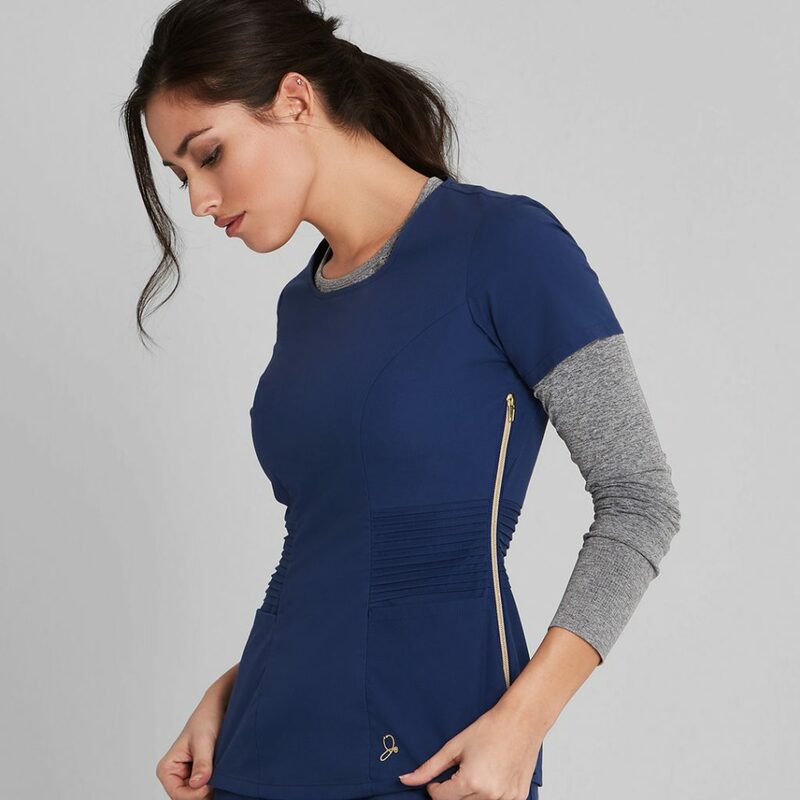 Our Underscrub – made with a luxe stretch fabric that’s breathable and antimicrobial-finished – is an essential workwear item that will keep you comfortable and dry without compromising your style. Take a look at some of our favorite looks featuring this versatile top. Alisa’s sleek look allows for maximum coverage and comfort throughout the day. Look effortlessly cool while staying warm and cozy. The underscrub even pairs perfectly with the most feminine of scrub styles, like the Ladder Lace Set. Is there an underscrub in a plus size? 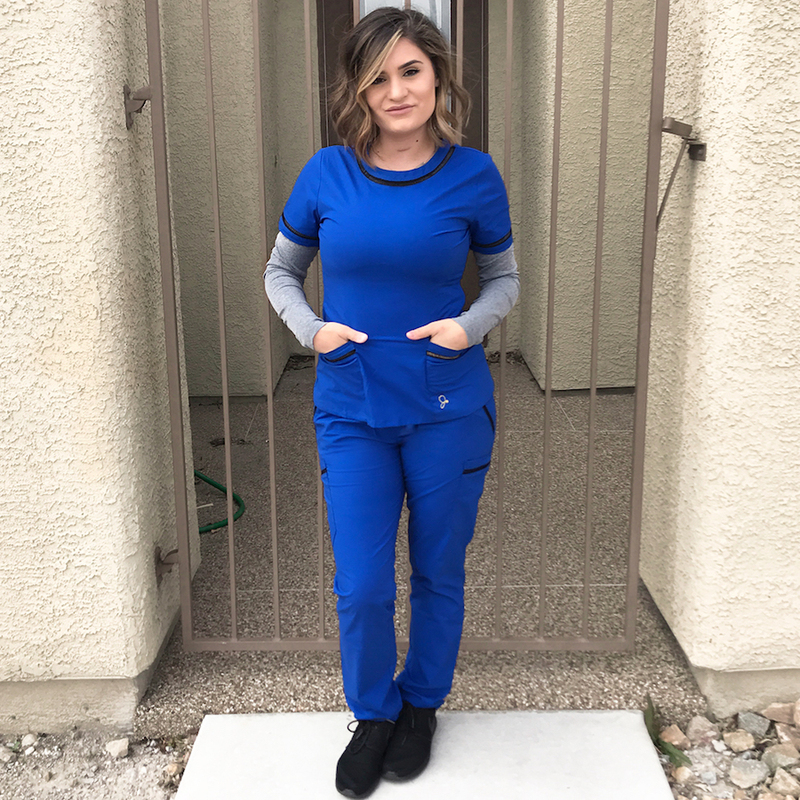 Right now we do not carry Underscrubs in our Curve line. I will inform the design team about the interest in plus-size Underscrubs!